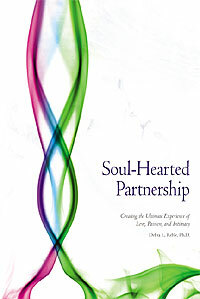 Recognizing the deep need for fulfilling spiritual relationships, this book offers a bold alternative to the usual partnership titles by assisting readers in first becoming their own best soul mate. The author provides a way to energetically draw to ourselves healthy, whole, and soulfully alive partners. As such, this book presents a new model of partnership, in which union with ourselves and then a loved one serves as a vehicle for spiritual development. Readers will benefit not only from the cultivation of extraordinary relationships—with friends as well as a beloved partner—but also from the book’s innovative approaches to jealousy, fear, old grievances, vulnerability, and deepening intimacy. Each chapter concludes with a series of practical exercises. "With kindness and spiritual wisdom…this innovative book will guide you, step by step, on your own path of discovering relationships as the launching pad to your personal spiritual awakening." "If you’ve ever yearned for a deeper connection with your mate, read this book for the step-by-step tools you need to revitalize your current relationship. If you are single, this book will help you aim for something far more fulfilling in the future." "This is a work of enlightenment in an age of evolved knowledge, a writing that could not have occurred during a former time. It is the product of new information about soul and spirit coupled with uninflected data and scientific understandings." Debra Reble, PhD, is a licensed psychologist and conducts a private practice in Cleveland, Ohio, where she facilitates workshops and seminars on personal transformation and well-being. She is also a director at Foundation in Light, an international nonprofit educational organization furthering spiritual growth and self-realization. Rights available in all languages except Hungarian. For rights or distribution information, contact info@blessingway.com.